Cool technology vector clip art set for your computer, communication, equipment, pc, storage, web and internet graphics. 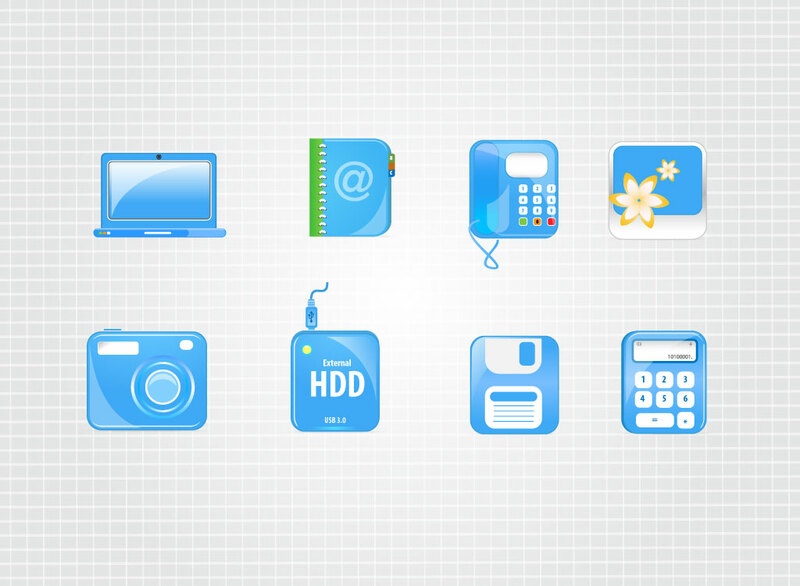 Eight different vector icons of electronic devices come in this free clip art download. Comes with a gray and white grid background image and features symbols of a laptop, day planner, phone, monitor, camera, external hard drive, floppy disk and calculator. Tags: Camera, Computer, Disc, Disk, Electrical, Internet, Pc, Storage, Usb, Web.